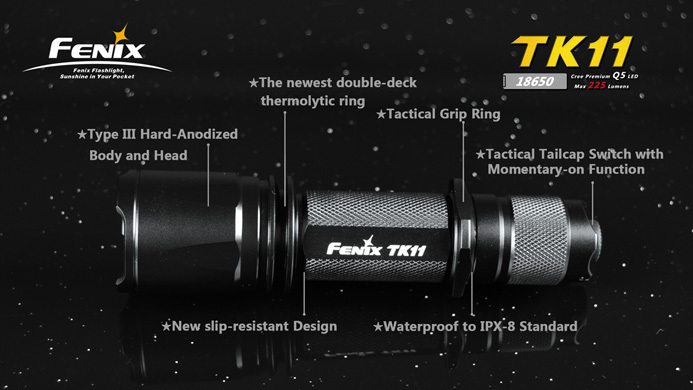 Fenix TK11 tactical torch. 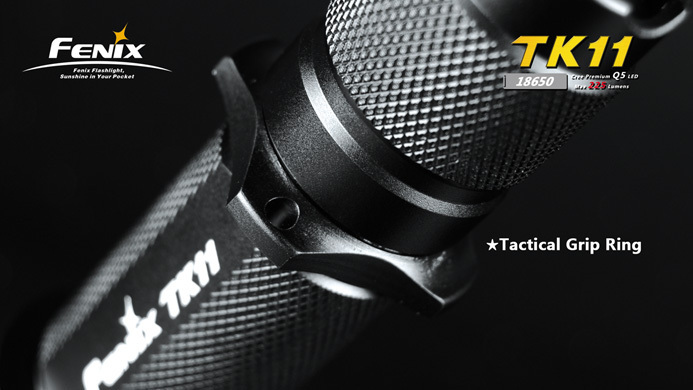 Same as original TK10 but compatible with the single 18650 rechargeable cell, as well as CR123s. 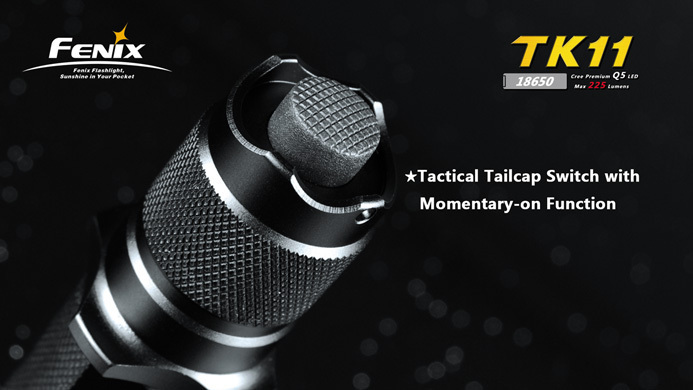 If you use your torch a lot and are considering using rechargeable batteries to save money, the high cap 18650 battery (not supplied) offers more than double the run time of rechargeable CR 123 batteries whilst delivering the same initial output. 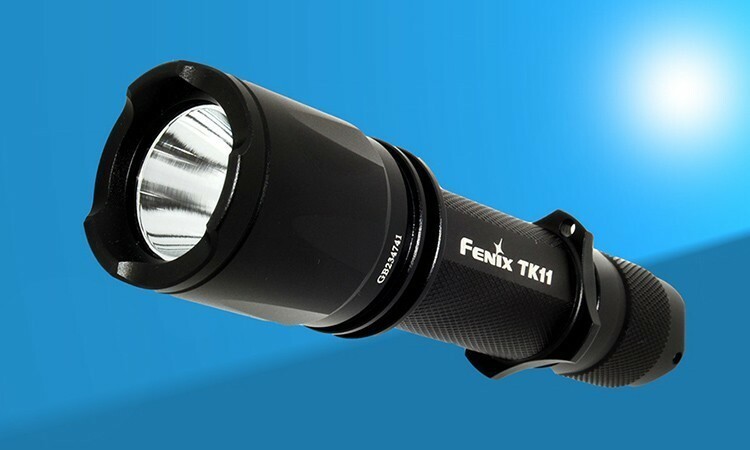 60 - 225 lumens for normal close up work or instant target identification at distance. Customisable - take off grip ring to install pocket clip if needed. Spares include O-rings, switch cap, clip screws with allen key. Body is 1 inch (25mm) diameter so will fit into most common gun light mounts. 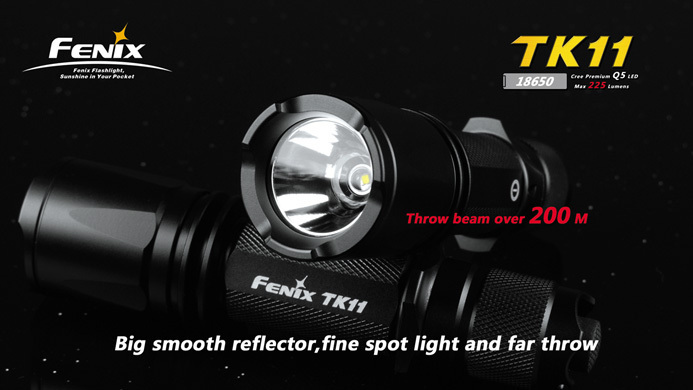 • Turbo Mode: Constant 225 Lumens, 1.5 hours. 2.7 hours total runtime on one 18650 Li-ion battery. 2 hours to 70 % output. 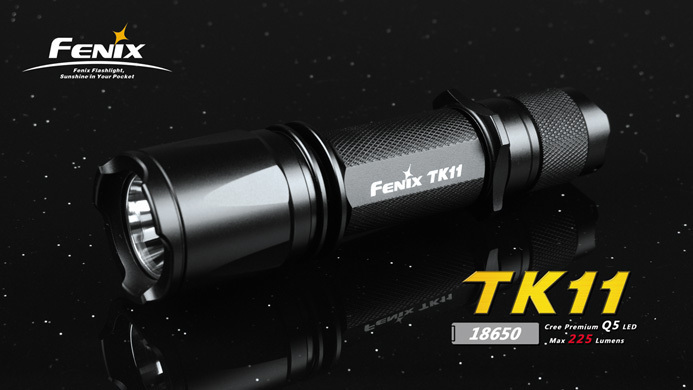 • General Mode: Constant 60 Lumens, 10 hours. 12 hours (one 18650 Li-ion battery).